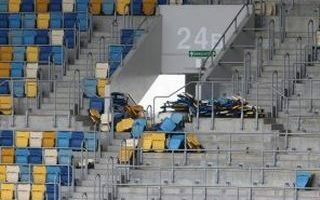 The Olympic Stadium and Arena Lviv still have debt from before Euro 2012 pulling them down. Neither stadium has the resources to cover it, nor does the ministry of sports. 5 years after Euro 2012 there's trouble again in Lviv. Only one full season of Premier League has been played and FC Karpaty are again moving out to their old home. 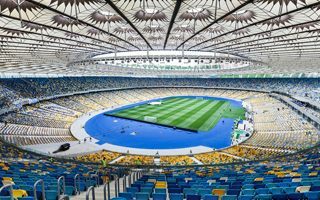 Roughly 7,000 seats from Arena Lviv will be transported from Arena Lviv to Kyiv in order to satisfy demand of Eurovision semifinals and final. 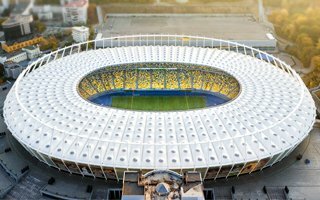 Ukraine’s national stadium has some of its bank accounts frozen after audit revealed the operating company is unable to pay debts from before Euro 2012. This may be the very first season played by Karpaty at the remotely-located Arena Lviv. The Ukrainian club has confirmed a deal for the 2016/17 campaign. Average capacity of every stadium outgrew all European Championships held in this century. Ticket number highest in history, but how does attendance look so far? Let’s see! While the investment may never be recouped, INEA Stadion is the only Polish Euro 2012 stadium operated privately and has a safe position. 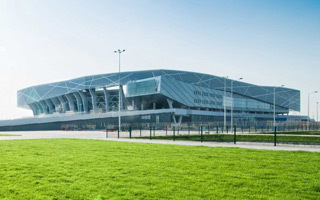 28.09.2012 Ukraine: Two Euro 2012 stadiums for sale? Quite an unusual offer may soon be on the table with new privatization law to be voted on. If it passes, numerous public companies will go on sale, among them the arenas in Kyiv and Lviv, as Kommersant-Ukraina reports. We end this mini-series with the story of Michał who went to 6 out of 8 stadia of Euro 2012. whenever he can, he also goes around Poland with his club Śląsk. Though on a daily basis he goes everywhere on a wheelchair. Before Euro 2012 he had never been anywhere east of Germany despite being a huge enthusiast of travelling. But though he spent only 24 hours in Lviv, Andreas had a great time. Her heart beats for FC Tokyo, but every couple of years Sachiko books flights to experience football’s largest tournaments. Completely different experience than club football, but a very likeable one, she says. Came from Rijeka to help Croatian supporters as a Fan Embassy volunteer. But at one point he himself needed help as police arrested him and since they didn’t speak English, explaining anything was hard. But despite that he fell in love with Gdansk and wants to come back. We decided to ask people from different countries and backgrounds about their Euro 2012 experience. Everybody, please meet Joe, who came to Poland following Ireland, probably the best supported nation of the tournament. 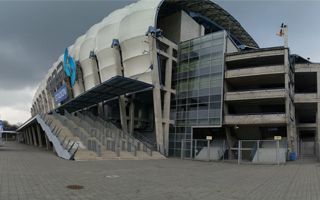 Just days after Euro 2012 ended yet another contractor is facing legal action as municipality of Wrocław terminated Max Bögl's contract to build the stadium – Gazeta.pl reads. 02.07.2012 Euro 2012: All-time attendance record confirmed! In total, Euro 2012 games were seen by some 1,440,000 people. Even keeping in mind that some sold tickets went unused, this is a very impressive figure. Euro 1996 record has been beaten by over 200,000 people. One day before the final, tickets are again on sale. In previous fixtures thousands of seats were left empty even if declared attendance stood at 99%+. How about more transparency, UEFA? Officially finished, officially opened, officially operational. Unofficially work goes on installations inside National Stadium in Warsaw. When “Dziennik Gazeta Prawna” journalists found out, the operator of the ground pretended nothing is happening. But something is, apparently. 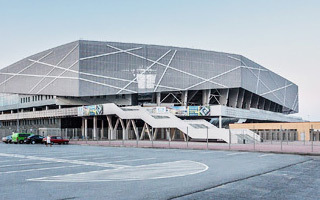 When Wroclaw municipality was handing over the venue to UEFA on May 11th, both sides agreed that Euro 2012 organizers will cover the cost of any defects caused during tournament. Today the bill reaches €100,000. On Thursday Portugal and Czech Republic weren’t allowed onto the pitch ahead of their quarterfinal game in Warsaw. Condition of the pitch is alarming and parts of it will be relaid. It’s quite the opposite in Poznan and Wroclaw whose part in the tournament is over. 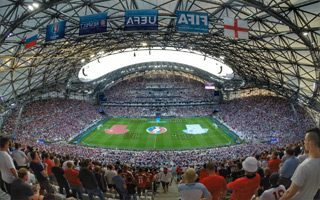 One could see empty seats inside the stadiums during Euro 2012 group phase, but all venues have so far had average attendance of over 90% of their capacity.